CHICAGO (Nov. 27, 2018) – Smart phones roll off the factory assembly line—and now, smart apartments. 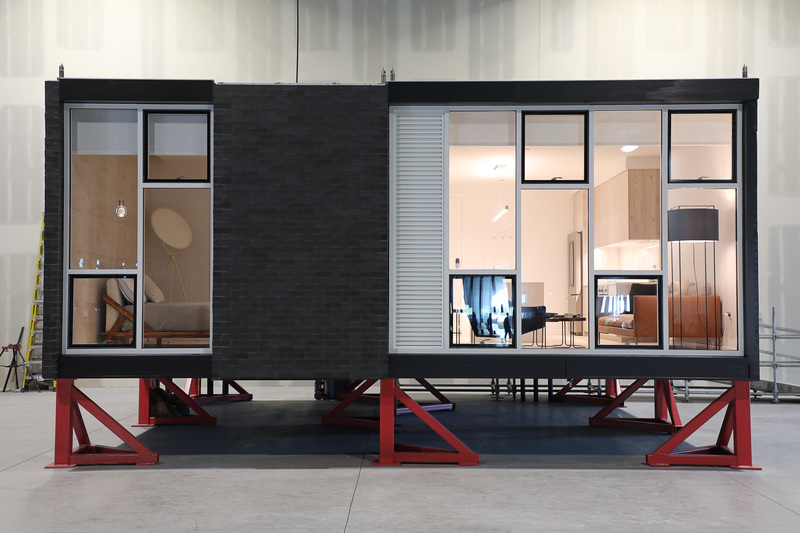 Skender’s vision for a modular building process has reached a milestone: an actual smart apartment module prototype is complete and on-display, featuring Google Home technology systems throughout its structure. The prototype is an early version of the apartment units that will be built in Skender’s factory for a building in Chicago’s West Loop early next year. 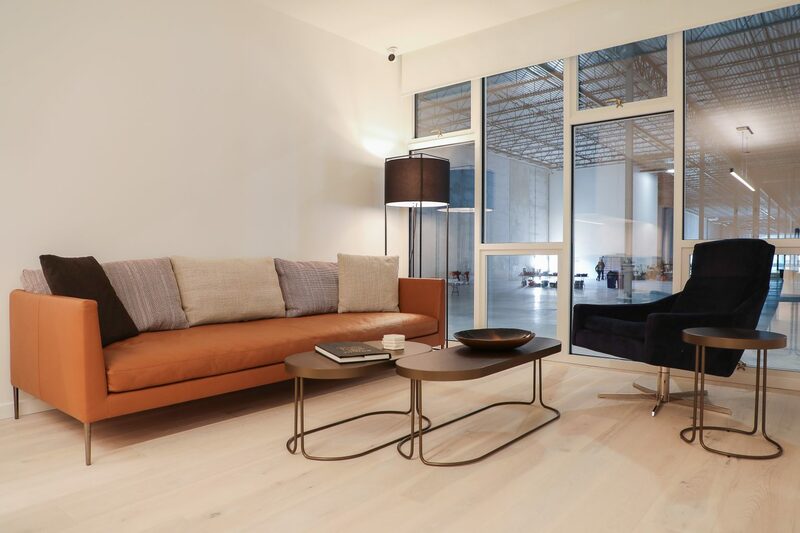 Yesterday, Skender unveiled its smart apartment prototype in Skender’s advanced manufacturing facility on the southwest side of Chicago. The prototype demonstrates how modular design and construction has the potential to disrupt the building process making the design, manufacture and construction of buildings safer, faster and more affordable, as well as more technology and environmentally friendly. The prototype offers a way to leverage a technology-based solution to the affordable housing crisis, and more broadly, to keep construction costs manageable and significantly reduce schedules for market-rate and luxury multifamily and healthcare properties, as well. At the same time, the process will deliver a seamless technology experience for apartment dwellers and healthcare professionals, delivering whole units, much like Apple or Samsung delivers a smart phone—with the technology pre-installed and ready for use. Modular building brings most of the construction process inside a factory, standardizing the design, building and technology processes. 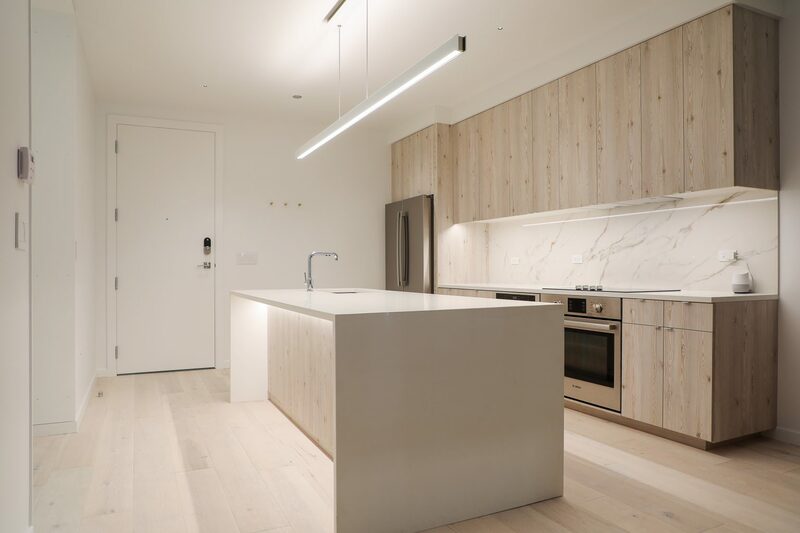 In fact, the apartment prototype itself can be seen as an integrated piece of technology that is built inside a factory, then transported to the building site, and assembled and stacked along with other units to deliver a full apartment building. 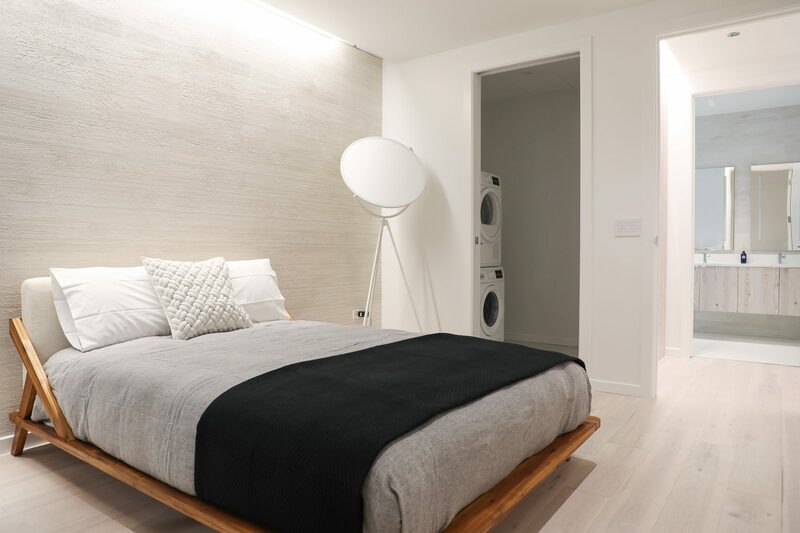 The modular process allows Skender to incorporate smart apartment tech into the individual units from day one, and the mass production element results in seamless and inexpensive tech integration. 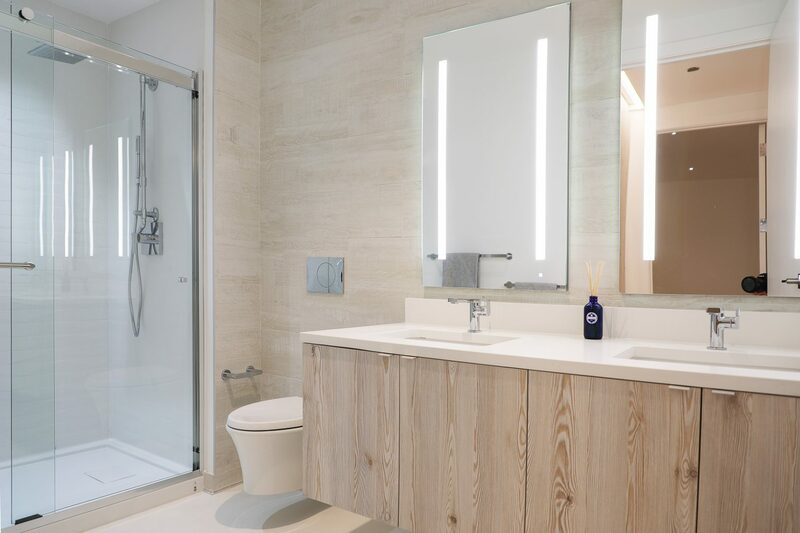 Depending on the developer’s needs, each apartment unit could be manufactured to run on a suite on a suite of smart living products including Google Home smart speakers, Nest security and thermostat products, and Lutron smart lighting and shade controls. Skender hosted a prototype celebration event on Monday, Nov. 26, to celebrate the hard work and ingenuity that went into creating the prototype. Murray, CEO Mark Skender and Chief Design Officer Tim Swanson led the teams that collaborated on this product—the very first to represent what will be produced in Skender’s manufacturing factory in 2019. Similar tech-enabled apartment modules will be designed in-house, produced in the factory and finally assembled onsite and stacked on top one another. In the factory, both stackable volumetric modules and slide-in pods will be fabricated used skilled union labor. Noncombustible steel frames and studs will provide the modular frameworks, engineered to precise tolerances so the modules perfectly fit together. Skender is already in the design-for-manufacturing phase on healthcare and multifamily projects, including an apartment building in the West Loop. The modular manufacturing method is expected to reduce the timeline of traditional building by up to 50 percent and generate up to 15 percent project cost savings.